You need to do more than just give participants access to their health information in order to fulfill the Centers for Medicare & Medicaid Services’ (CMS) value-based care initiative. You also have to make sure you collect the right data points and ensure that systems are sharing that data freely and securely. The last piece of the puzzle: you must ensure that patients are engaged with managing their own health outcomes. Population health professionals know this, and regularly look at health outcomes and participation rates to try to increase engagement. We also share 5 takeaways from this series to help you succeed in the march toward value-based care. 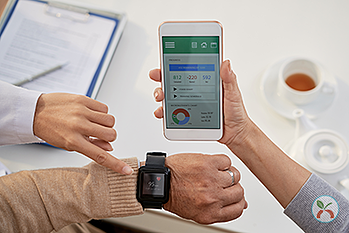 Download this paper to learn more about the role of technology in wellness program engagement, and how it contributes to improved outcomes and value-based care. If you missed the first three parts of this series, you can download part one, part two, and part three by clicking the associated links.